Whether it is a new home you are building or improving an existing home, you can simply choose from a widely available range of building insulation materials to, not just, help you reduce your utility bills but also to provide improved heat loss and gain and added sound control culminating into a comforting home environment. In this article we review cellulose vs aerolite insulation, for their cost effectiveness. Even though cellulose fiber is used by some people as insulation for its supposed environment friendliness it has some serious limitations that should be considered before selecting it as the best option for the insulation for your home. The small particles present in cellulose may enter the house through minute holes and inefficient seals. Cellulose not filled tightly in the cavities can slump after application and in some situations leave some places of the insulated area uninsulated. At times, loose cellulose fiber weighs approximately three times as much as fiberglass insulation. The ammonium sulphate and some other chemicals used for fire retardation can leave a slight ammonia smell in the house that can cause discomfort to the residents of the house. In case of wet spray pack, cellulose fiber insulation mold can be developed due to moisture retention within spaces or due to insufficient drying of the insulation. The cellulose fibre gets compact with time and reduces the R-value. Under uniform conditions the R-value of insulation material is the ratio of temperature difference across an insulator and heat flux (i.e. heat transfer per unit area per time). Even though cellulose fiber is treated, with chemicals, to make it fire resistant, cellulose fiber is made from paper, and it is highly flammable once the chemicals evaporate over time. The claims of this of insulation being ‘green’ are not so true as the insulation is not recyclable. The excess of certain chemicals like ammonium sulphates, borates, boric acid, etc. used to make the cellulose insulation fire and mold resistant can even cause the beams and metal in the roof and wall to corrode. Besides these limitations, the severe health hazards of Cellulose fiber insulation that cannot be ignored. The gases and chemical fumes emitted by the fire retardants, insecticides, etc. present in cellulose fiber can become potential carcinogens. The borates and boric acid consumed unconsciously can cause poisoning and even other serious diseases. Also, the embodied energy is low of cellulose fiber compared to Aerolite (fiberglass) insulation. What is Aerolite made from? Fiberglass insulation or think pink aerolite is comparatively quintessential for a variety of applications in your home. It can be installed in a number of areas: Attics, basements and crawl spaces, interior and exterior walls, roofing and flooring, ceilings, foundation walls and also be used for efficient sound proofing. Fiberglass insulation is also called Glass wool insulation. It is made from 70% recycled glass and involves melting the raw materials i.e. glass and sand at a temperature of around 15500 C. The glass in the liquid form is then extruded out of spinnerets to form fibres that in turn are coated with resin and shaped into bats. Aerolite insulation gets its insulation by trapping air inside billions of minute glass fibers. The air trapped in small air pockets in the glass fibers helps reduce the transmission of heat through the space, making it a better choice of building insulator. It is the most popular modern insulation material due to its considerably low cost and versatility. 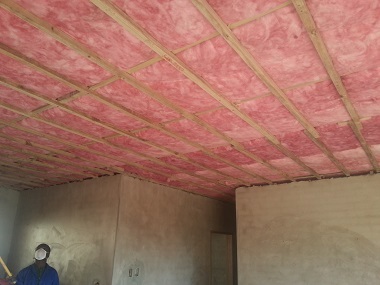 Unlike cellulose fiber, there is a different type of fiberglass insulation available for different spaces with the house like attics, ceilings, walls, floors, etc. Compared to the considerable high inflammable tendency of cellulose fiber insulation, fiberglass is the most fire resistant insulation materials as it requires a very high temperature to burn. It absorbs almost no water due to its dense structure, and as it dries the R-value is retained, unlike cellulose fiber. This type of insulation material has a considerably higher R-value of up to 3.38, making it a better insulator. 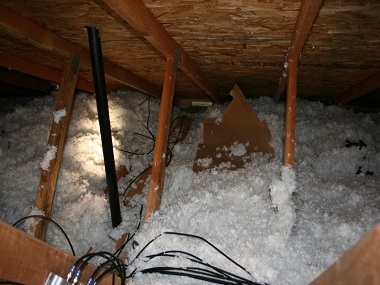 Other advantages of the aerolite insulation are; relatively easy installation procedures, higher heating and cooling properties, noise reduction and its resistance to mold, vermin, mildew and other insects that can attack cellulose fibers in the presence of moisture that may have been left trapped in the insulation. And also since there is no scope for shrinking, so it does not leave uninsulated spaces over time as in the case of cellulose fiber. Just like any other insulation material even aerolite insulation too can face some challenges. But despite a few challenges faced, aerolite insulation can be made to reach its full potential with just a little more care and select the right installers to maximize its R-value. It is the best insulation material for your home and the perfect way to keep your home warm and cosy in winter and cool in summer with a considerably reduced electricity bill.